We have a number of indoor and outdoor areas to choose from ensuring a space to suit all ages, styles and types of events. We can assist you in creating a menu that compliments your function perfectly, and you can rest assured that you and your guests can relax and enjoy the party. 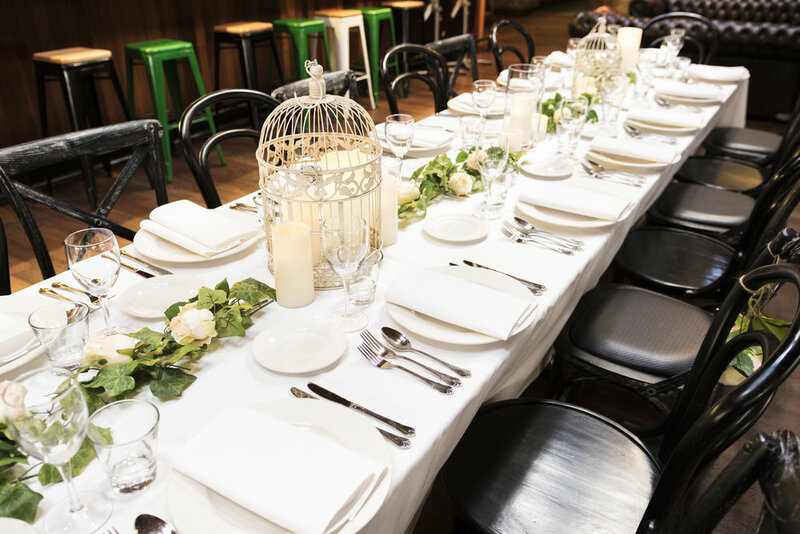 Take a look at our current function packages and contact our functions team for more information: functions@thegullyphg.com.au. Alternatively, fill in the booking enquiry form below and we will get back to you shortly. Let us help you make your engagement party or wedding one to remember, with a tailored food and beverage package to suit your needs. We can also help with styling the space! Celebrate your next event at The Gully with our customised packages to suit you and your guests. We want to make your occasion one to remember. Not sure where to celebrate your next corporate function? We've got you and your colleagues covered with options suitable for everyone, and every budget. Want to know more about functions at The Gully? Fill in the form below!